There is a new threat on the horizon. And I do not mean a tap-dancing Mike Tyson! Guy does not seem to mind. John just pumps and grind. Plus the rest of the gang rides a rampaging Bison. Which funnily enough is what these guys ride too! Writer: Peter J. Tomasi; Artist: Fernando Pasarin; and Publisher: DC Comics in August 2012. Have you ever played the game of 'Hide and Seek'? I'm sure you have. It's very much like what John and Guy are going at the moment; in this third instalment of 'Alpha War'. Well, since both of these Green Lanterns have buggered off to God knows where, the Alpha Lanterns do their damndest to track them down post haste. But who will help them? Huh? Salaak? No. He's a stickler for protocol. The Guardians, then? No way. They want to see how these events play out. OK, so what about the captured members of the Green Lantern Corps? With some additional prodding of course. Ha! Don't make me laugh. Still, you know the old saying, don't you? If the mountain does not come to Muhammad -- yadda-yadda-yadda -- just with some additional assistance from a very unlikely source. To be continued just as soon as a Manhunter manifests itself. To be honest with you I got a kick out of most of the quick quips in this issue. Like when Guy said "Thanks for the advice, Varix, but screw you". Or when Kilowog said to Boodikka "Maybe you Alpha Lanterns should be arresting yourselves -- you sound like John did at trial". Well, punchy should punch at times, shouldn't it? Presently there is an ore of mystery that is hovering around this title. You can see it here -- in this issue -- due to the fact that there are so many unanswered questions floating around all over the place, that nobody is one hundred percent certain on the fate of their favorite characters. Apart from the scenes where John and Guy confront the Alpha Lanterns -- which I'll get to later -- I have to say that there wasn't that much to grumble about in this installment really. Except for how the Guardians are starting to turn into Ming the Merciless, maybe. STORY: Now where the story is concerned, I have to admit, that there wasn't anything very original about it, apart from the innovative twist at the end. 'No man escapes the... errr... whatever that thing is'. Correct? ART: I'm sorry to say I wasn't too keen on how John and Guys fight-back was illustrated. It just come across too messy on the page for me -- too busy -- making it hard to figure what was really going on. This is just a small gripe though. Everything else was a blast -- particularly the scenes with John and Guy in the ring foundry. 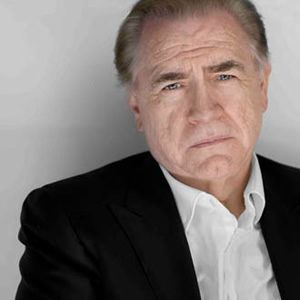 KILOWOG: ... 'Hammer House' luminary, Brian Cox, would do this pozer as much justice as he has done Shakespeare. Can't you hear it now? 'To wog, or not to wog -- that is the question'. Running Is A Very Stringent Form Of Exercise, Especially If You Have Committed A Crime And Are Being Perused By An Army Of Robots. Vote Schwarzenegger. There is a segment in this story that reminded me of the television show 'The A-Team '. I'm sure you know the segment I am referring to. It's the one where John and Guy find themselves in the ring foundry. Perfect match, right? OK, so what the hell is going on? The Guardians are now bad-guys. 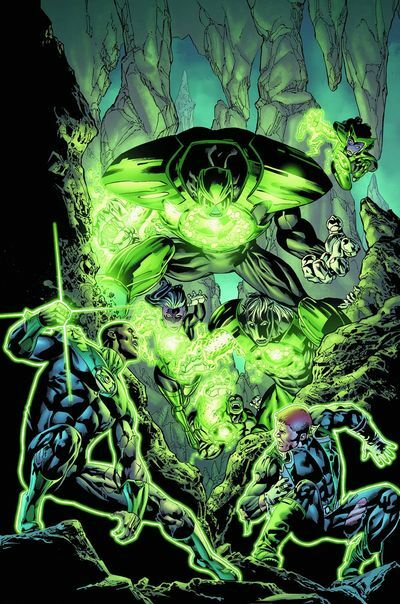 The corps is now on the run from the Alpha Lanterns. And a whole host of troubles are happening elsewhere in the other Green Lantern titles. Well, its starting to look pretty obvious that something is on the horizon, doesn't it? But what, huh? The Guardian 'Third Army'? Yes. Seems like a certainty. But if they wanted to just disband the corps, couldn't they have just paid them off or something? With redundancy! Why go to all this trouble in the first place, unless something else is going on. Trinity War -- nuff said.